This could be interesting, Labour very narrowly took the Assembly seat, but this is still the strongest area for the Liberal Democrats in Cardiff. It could come down to the strength of the student vote and where the Conservative vote breaks. Labour have starting accepting applications to be the candidate. It’s an AWS, and the selection vote is timetabled for the 13th July. I think that the LD vote will drop considerably next time, and I would expect a Labour gain. I’ve still got this down to be a Lib Dem hold on my current prediction for 2015. My overall prediction is for a Labour majority of 6. Only 3 Welsh seats would change hands; all of them gains from the Tories in Carmarthen West and South Pembrokeshire, Vale of Glamorgan and Cardiff North. I’d certainly be amazed if the Lib Dems hold this. I think Labour will gain it by a couple of thousand. I also think that this seat will be a Labour gain. I’m certainly more confident of it happening here than in Cambridge or Hornsey and Wood Green. Me too. It will be easier to squeeze the Tory vote in those seats, and the Lib Dems have a much bigger lead to start from. I’m baffled, I truly am. The Libdems seem to be sitting fairly consistently at 11-12%. Let’s suppose they manage to get it back to 15…that’s a drop of 8ish% nationally. In 2011 Welsh Assembly election, on the same boundaries of the Westmintser seat, Labour gained Cardiff Central by 38 votes after a 14.7% swing. The LibDem incumbent was not standing again (Labour was fielding the 2010 GE candidate). Had she stood again, I guess she would have probably held on the seat due to personal vote (she didn’t need a big personal vote, just 20 people to switch from Lab to LD). However, in 2015, the turnout will be 20 points higher. Parties in government usually suffer from differential turnout. However, also Labour often suffer because of their voters’ apathy. But the thing is, Welsh Westminster opinion polls have seen Labour take 50%+ and hold commanding leads over the Tories. Surely if such numbers are repeated at a general election in Wales, then the question on 8th May 2015 will be which seats DO NOT have a Labour MP now rather than which seats do. Cardiff Central would surely fall along with all other seats in South Wales bar Monmouth. I wrote on Cardiff North that when a boundary review takes place (as it will need to) Cardiff will almost certainly need to lose an MP, realistically being tied to Caerphilly (effectively killing it off as a marginal for years to come and making it a safe Labour seat). Possibly though some parts of Cardiff Central, including Roath would seem a more natural fit with the likes of Llanishen and Lisvante than Caerphilly. Surely Bridgend, the Vale of Glamorgan and the 4 Cardiff seats would be reduced to 5…..resulting in Cardiff North just taking more mixed wards from Cardiff Central. Hard to call this one. Labour have let Unite select their candiadte for this seat, but the student vote will naturally fall to them following the fee changes. Would suspect a Labour win. Does anyone know anything about Jo Stephens the Labour candidate? Her website is (I suspect deliberately) vague about her address, age, job, background etc. Jo is a partner at Thompson solicitor, lives in Cardiff, is in her 40s and is a season ticket holder at Cardiff City. I have this as a narrow Labour gain incidentally. Cathays and the student vote is key. I would take Plaid to remain ahead of UKIP but it’s otherwise quite close to my thinking too. Depends how well UKIP performs- they could take quite a few votes off Plaid, creeping ahead of them. The reason why I was cautious about predicting a Lab Gain here is that the Lab majority was so small in 2001 and it was only narrowly gained in May 2011. I’m leaning slightly towards a Lab gain here but not sure it will be a walkover. UKIP and Plaid both overstated by Winds. I agree with A Brown. I see this as a Labour gain, but not all that comfortably. Given the current state of the polls and the large student vote here, this should be a comfortable Labour gain providing the Labour candidate is as competent as she is local. A. Brown. Labour did not do well in this seat in the past by comparison with other Cardiff seats, particuarly Cardiff West. So far as I know, there is nothing particular in this seat to make it swing against national trends. Therefore there is scope for Labour to catch up, particular if the LibDem fall because of disapearance of the student loans issue. In the detailed analysis of Liberal prospects I did a couple of months ago I had this seat as a “probable loss” and see no reason to change that assessment. I think the important question may simply be whether the CON vote holds up – if the Liberals lose 10% to Labour, making it 22/39/31, but can gain 8 or 9 from squeezing the Conservatives, there might just be a hold at 12/39/40. That would require a heavy squeeze to the Tories but 2005 shows that their base here may be lower than that. I still concur with the majority that Labour gain looks likely, but without knowing how a lot of the CON vote will hold up/swing I wouldn’t judge it a cakewalk. I guess another question is how the student vote decomposed between Lab and Lib – the more reliant the Liberal % is on students the more shaky one would expect it to be come 2015. In Wales they usually count the Euro elections by Westminster constituency so unless they’ve changed that we’ll get a good indication of how things stand in seats like this. I was in this constituency at the weekend and saw lots of people wandering around delivering literature in the cathays area from the Lib Dems. If that sought of activity is still going on then this could still be to close to call. Apologies for being slightly OT. 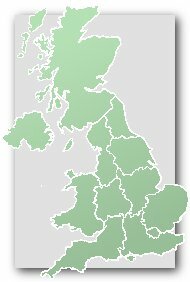 As an outsider looking in, is there a real possibility of a LD wipe out across Wales? I think they will cling on in Brecon and Radnor as Labour have been relentlessly squeezed out there over the years and as usual Labour voters will have to vote tactically for the LDs (through gritted teeth no doubt ) to keep the Tories out. Other than that, yes, they’ll be wiped out, Cardiff Central a certain Labour gain and Ceredigion will go to Plaid. Also don’t think they’ll regain their former stronghold of Montgomery. Ceredigion is unlikely to go to Plaid Cymru in my opinion, and Cardiff Central is not definite either. In fact I would be more surprised if Ceredigion went to PC than if Brecon and Radnor went conservative. Cardiff Central will on balance be a Labour gain (although that’s by no means certain judging on the 2011 Welsh Assembly result), Brecon and Radnor should be a Lib Dem hold (although a surprise Tory gain isn’t out of the question), and if Plaid win Caredigion it’ll be just as astonishing as the Tory gain in Montgomery in 2010. Pretty much everything about what will happen to the Lib Dems in 2015 is up in the air, and nowhere more than Wales. There are, I think we’d all agree, four seats where they could, conceivably, win. (Montgomeryshire, plus the seats they hold.) In none of those is the outcome clear. Personally, I wouldn’t be shocked to see them lose all three of their current seats. Nor would I be shocked to see them gain one, up to four. Realistically, though, I think all three currently held seats will stay Lib Dem, and I think they’ll tighten it up in Montgomeryshire. They did well here in 2011, and Jenny Willott has a personal vote, she voted against the tuition fee hike, and she’s increasingly high-profile. I think they’ll squeeze the Tories, for starters, and not lose as much here to Labour as elsewhere. In my opinion, it’ll look a lot like the assembly vote, except inverted. So, LDs at 38, Labour 37, Tories 15, Plaid 5, UKIP 3, Others 2.
that’s a statistical dead heat to all intents to all intents & purposes. If it’s that close, it’s very hard to predict a winner with confidence. Your points aren’t without merit however. I’m doubtful about the PC score there. They’ve dropped fairly badly since 2010 and even if 3% is their “core vote” here, I’m not sure they’ll increase it. In a dead heat, that 2% of voters could be quite important. Good point. You’re probably right on that one. That support would probably go the the LDs and Labour, I guess. And yes, Barnaby. It’ll be close. The Lib Dems do significantly better here at a local level. In 2008 they won every single ward in the constituency and most by a huge margin, beating Labour by more than 2-1. 2 years later Jenny Willott had her majority cut. Their relatively good council election results here reflect that like just about every single part of the country where they have local councillors, they always perform better at a local than a general election level. The significant factor for the general election is that this is a very, very student heavy constituency and student turnout in local elections is dire. It won’t be for the general election and I think Willott will be gone. The Lib Dems are getting hammered where they are up against Labour just about everywhere and I can’t see this being any different. The trend in Cardiff Central is against the Lib Dems, and towards Labour. In 2012, the Council was comfortably won by Labour from an increasingly fractious Lib Dem/Plaid coalition. There is an increasing UKIP vote – some of which is coming from the Lib Dems and some of which is coming from Labour. Oddly, it seems that the Tory vote is more resilient than either of the favourites. A labour gain or Lib dem hold? If the swing is big enough for them, possibly Labour. The Results- your last post hit an all time low for inanity. I’ll rephrase what I said. I think that there could be a very big fall in the Lib Dem vote here- in such circumstances, you would think Labour would be the main gainers, and would easily take the seat but if they do I can see the majority maybe only being about 1-2000. I think, and have thought for some time, that this will be a somewhat unexpected Lib Dem hold. I think Jenny Willott is popular enough, and a lot of the resources that were dumped into Swansea and Newport and Pontypridd last time around could be reallocated to shoring her up. The assembly result was also telling: the Lib Dems, with a retiring incumbent, lost the assembly seat (which I believe is coterminous) by by 38 votes (0.2%). With a popular incumbent MP, I think they’ll just hold out here. The Lib Dems did pretty awful in the council elections here, but were not wiped out by any means. I’d also predict a moderate tactical squeeze by the Lib Dems on the Tories. PTRichards, the guy who thinks the liberals may win maidstone in 2015…your partisanship is almost as embarrassing and naked as robbietriestopredictpolitics. funny how you predict her beating labour by 1% how very convenient…. in the real world, the bookies have labour clear favourites with paddy power at 4/7 and ladbrokes at 2/5 … you can get jenny on 2/1 at ladbrokes, so i suggest you try and treble your money, by putting your money where your blatantly partisan mouth is. Peter, if you meant to attribute the word inanity to my posting, why did you say that? Because I was being sarcastic when I said ‘Thanks Peter’ earlier. partisanship? Exactly who am I aligned to? This seat has a very high student vote, and consequently a high turnover of voters. I think the LibDems are unlikely to hold off the Labour Party here, particularly if Labour select a good candidate. Labour have a past history of getting themselves into a mess in this seat. In the 1980s they had a very left-wing party with a tiny membership and this left a legacy which the LibDems were able to exploit. If Labour get their act together they should be able to gain and consolidate this seat.